On October 14, 1840, German physicist Friedrich Wilhelm Georg Kohlrausch was born. Kohlrausch investigated the conductive properties of electrolytes and contributed to knowledge of their behaviour. He also investigated elasticity, thermoelasticity, and thermal conduction as well as magnetic and electrical precision measurements. Friedrich Kohlrausch was born in Rinteln, Germany, the son of Rudolf Kohlrausch, a physicist who introduced the relaxation phenomena and used the stretched exponential function to explain relaxation effects of a discharging Leyden jar . 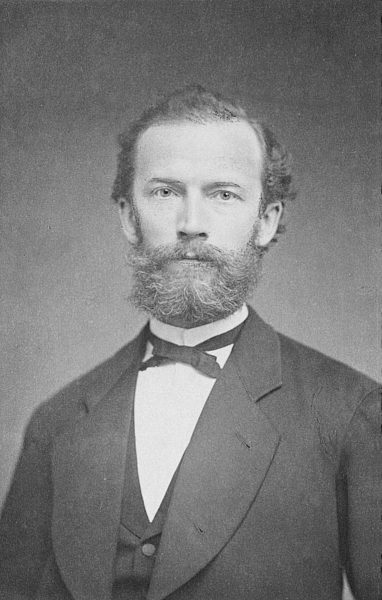 Friedrich Kohlrausch studied physics in Erlangen and Göttingen, Germany, where he received his doctorate in 1863 from Wilhelm Eduard Weber on the “elastic after-effect of torsion“. In 1864 he became a lecturer at the Physikalischer Verein in Frankfurt am Main. Since his time as a student in Göttingen he was a member of the Burschenschaft Brunsviga. He was appointed professor of physics at the University of Göttingen in 1866 and became professor at ETH Zurich in Switzerland in 1870. During the following years, Kohlrausch also worked at the Darmstadt University of Technology and the University of Würzburg. During his time at Würzburg, Kohlrausch conducted his influential research work on quantity determination and the conductivity of electrolytes. 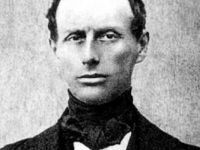 From 1875 he opened up the new field of physical chemistry, solutions, especially their electrolytic conductivity. Already in 1874, Kohlrausch was able to demonstrate that an electrolyte has a definite and constant amount of electrical resistance. He observed the dependence of conductivity upon dilution and could determine the transfer velocities of the ions. He used alternating current to prevent the deposition of electrolysis products; this enabled him to obtain very precise results. During the later 1870s, Friedrich Kohlrausch examined several salt solutions and further materials, resulting in the law of the independent migration of ions. It means that each type of migrating ion has a specific electrical resistance no matter what its original molecular combination may have been, and therefore that a solution’s electrical resistance was due only to the migrating ions of a given substances. Kohlrausch was able to demonstrate for weak electrolytes that the more dilute a solution, the greater its molar conductivity due to increased ionic dissociation. During 1895 he succeeded Hermann von Helmholtz as President of the Physikalisch-Technische Reichsanstalt (PTR)), an office which he held until 1905. 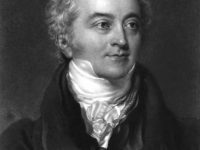 Here, as in the past, his activities were focused on experimental and instrumental physics: he constructed instruments and devised new measuring techniques to examine electrolytic conduction in solutions. He concluded the setup of the PTR, a task which had not yet been completed on the death of its first president. He introduced fixed regulations, work schedules and working hours for the Institute. Kohlrausch was intent on creating optimum working conditions in the laboratories and to shield the labs from unwanted external influences. For six years, for instance, he fought against a streetcar line which was due to be laid near the PTR. However, before the streetcar was to make its first journey, the institute succeeded in developing an astatic torsion magnetometer which was uninfluenced by disturbing electromagnetic fields. Starting from 1888, Friedrich Kohlrausch taught at Strasbourg University and became a professor at the Humboldt University in Berlin in 1900. Two years later he was elected a member of the Royal Swedish Academy of Sciences. Overall, Kohlrausch was involved in the measurement of electrical, magnetic and electrochemical phenomena for almost 50 years. 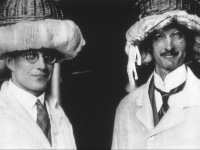 In 1905 Kohlrausch retired from his post as President of the PTR. Friedrich Kohlrausch died in Marburg on 17 January 1910 at the age of 69. 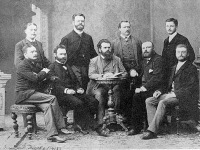 His doctoral students include the American physicist Carl Barus (1856-1935), the 1879, and Walther Nernst, who received his doctorate from him in Würzburg in 1887.